Elsewhere, Churchill look to continue home juggernaut as NEROCA look to bounce back from disappointing week. Another gripping week beckons us in the I-League as we saw the unlikely league leaders Minerva Punjab defeat NEROCA FC to extend their lead in the top by 4 points with 2 games in hand with the 2nd placed NEROCA. Last week also saw the much awaited Kolkata Derby end in favour of Mohun Bagan yet again this season even though the Mariner’s seemed to have been having a bad season so far. The gap between the two Kolkata giants is now just 2 points and both the teams are capable of putting in a late challenge for the title. This week’s fixture puts the spotlight yet again on our league leaders Minerva Punjab as they face up against East Bengal before making the trip to Goa in a quick turnaround of 2 days before facing Churchill. These two games are pivotal for the Minervans and they will look to come out in flying colours. 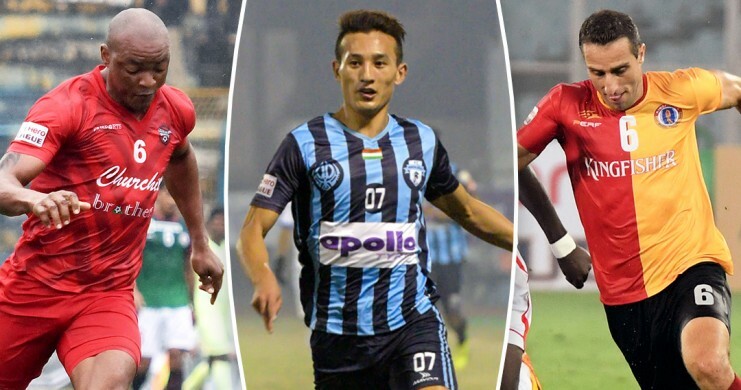 All this and much more in this week’s I-League. Let’s dive in. Date & Venue: 30th January/Barasat Stadium, Kolkata. A top of the table clash which sees the third-placed East Bengal go up against the first placed Minerva. A heavy-weight clash would’ve been a funny description if we were to call this match up, a year back. Minerva have shown massive improvements this season and East Bengal are in for a real fight come this 30th. 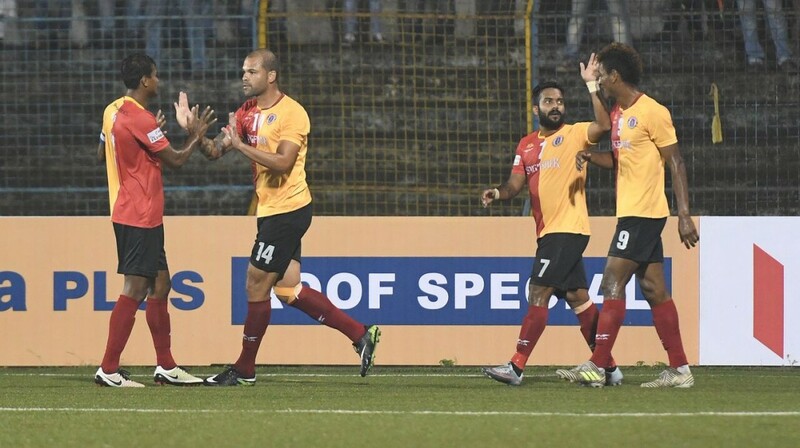 East Bengal seemed to have stalled a bit in the crucial part of the season and with no wins in 3 games, their arch rivals Mohun Bagan are in touching distance after the derby defeat. This will certainly be a huge cause for concern and Khalid Jamil’s men would like to get their season back on track by winning this tricky fixture. 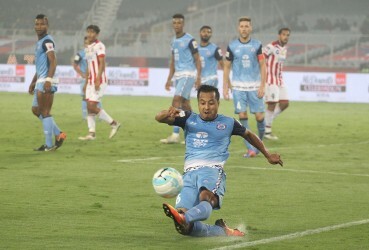 Minerva Punjab have put together an impressive winning run of 4 games which saw them defeat the likes of Mohun Bagan, NEROCA, Shillong and Kerala. Defeating the big teams has put them in a very favourable position for the title this season. With the win against NEROCA, the Minervans have moved to 25 points this season and with at least 1 game in hand when compared to the other teams in the top 4. Minerva have put together a great show this season and are deservingly leading the race for the title. This could be a huge fixture for the team because a win against East Bengal could send the team 9 points above them which could potentially put them out of the race to the title. The two teams are meeting for the first time this season and will want to tread carefully as both the teams are challenging for the silverware this season. Date & Venue: 30th January/ Tilak Maidan, Goa. An impressive turnaround for the Goan team after they put together 3 wins on the trot which propelled them up from rock bottom to 7th on the table. Churchill have played the least number of games this season so far (9) and ever since their drawback in the early days of January against East Bengal, the team has not dropped points till date. Churchill’s new found form has to be pinned upon their magnificent recruitment which has changed the complexion of the squad completely and they have truly become a team to be feared of. After scoring just 2 goals in their first 5 games, their next 4 games have yielded 8 goals. 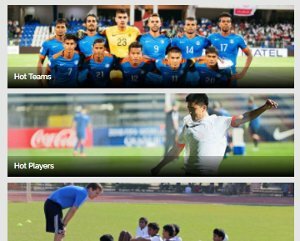 The attack has been on another level and will definitely be a big problem for NEROCA. NEROCA FC, after having gone undefeated for 9 games, they have slumped to two back to back defeats against Shillong and Minerva. The Manipur based outfit has been shocking audiences everywhere with their great performance this season. The team will look to get back their momentum which carried them to the 2nd position this season and will look to get back in the mix up for the title. The two losses that they suffered have a similar pattern to them. Both the games saw NEROCA concede goals in the opening minutes of the game. If the team manages to stay vigilant in the opening minutes of the game and manages to ride out the first few waves of Churchill’s attack, they will look to threaten them on the counter. This match promises to be a very attacking one and surely entertaining one for the neutrals. Date & Venue: 2nd February/ Tilak Maidan, Goa. Churchill host Minerva two days after their coming together with NEROCA FC. Both the teams are playing on the 30th and will play each other on the 2nd. Churchill will remain at home whereas the Minervans will have to make the trip to Goa for this fixture. An important couple away trips beckons for the league leaders as they will look to end their week on a high after facing Churchill. Churchill are no easy prey this time around as they have turned around their fortunes this season and since it’s the first time these two teams square up this season, it’ll be an interesting fixture to see how the two teams look against each other. The same fixture in the last year’s edition of the I-League was an extremely interesting one as it saw Minerva edge out Churchill in a 9 goal thriller. 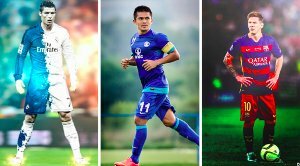 This match puts together the league’s best defensive side against the league’s leakiest defence and as the football saying goes “attack is the best form of defence”, both the teams will be attacking from the get-go. A win in this fixture could strengthen Minerva’s title hopes. Date & Venue: 3rd February/ Jawaharlal Nehru Stadium, Coimbatore. Chennai City are not quite performing this season as they expected. Their recent home loss against Gokulam Kerala did not bode well for the team as that match could’ve been the catalyst to help them get their form back this season. The team is now winless in four games and they are struggling to find form. Their star signings Shumeiko and Joachim Jr. has been working wonders for the club but somehow they are unable to pull the strings together for a complete performance. The team currently sits in 9th position with 9 points and a win could do the club a whole lot of good. Aizawl FC are winless in 3 games and they play in the AFC champions league qualifiers before travelling to Coimbatore for their game against Chennai City. Fatigue could play a big part in this game and this is where squad depth comes in handy. 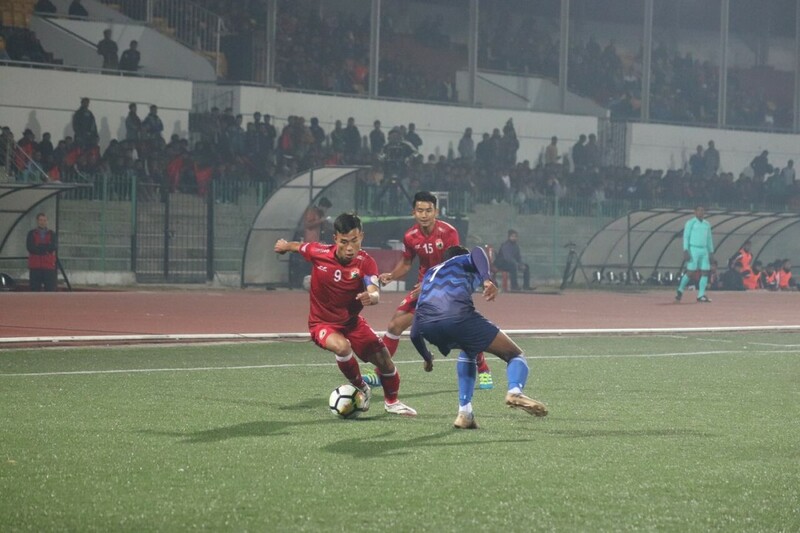 Aizawl FC will have to be in their best to get a good result in both the competitions. A win in this match could help propel the team back into the top 4 with a game in hand of the teams above them. This gives them an outside shot at the title and with 5 teams now gunning for the coveted title, it’ll surely be a must-win fixture for Aizawl FC if they were to retain their title of defending champions. Date & Venue: 3rd February/Jawaharlal Nehru Stadium, Meghalaya. A very intriguing clash between the teams placed 5th and 4th respectively. The teams are tied on points and Shillong have played 1 game more than the Mariners. This game could offset that advantage that the Mariners have over Shillong. Shillong have had a very inconsistent season so far but have somehow managed to keep up with the top of the pack. Their surprise win against NEROCA FC has made things all the more interesting in the top of the table. The reverse fixture in the beginning of the season saw the match between these two teams end in a stalemate. Mohun Bagan have the highest number of draws this season (5) and it has been hurting the side largely. A win against Shillong could see them move above their arch-rivals East Bengal should their results go awry. Mohun Bagan have not been up to their best this season as they stand 8 points adrift from the top team Minerva as things stand. Should things change, it must change soon before it’s too late for the Mariners. Date & Venue: 4th February/Barasat Stadium, Kolkata. East Bengal are coming on the back of an important match up against Minerva and a win in that fixture could see them move within 3 points of the table toppers. This fixture against the Arrows will be a routine match up for the Red & Golds as they’ve already come against this young side and beat them 2-0. East Bengal seemed to have lost some traction on the chase for the title in the recent games as they slipped up and dropped points against the last 3 oppositions that they faced. They will look to avoid such mistakes against the young Arrows and get their campaign back on track. The Arrows are having quite an average season as expected. Their 10 points in 12 games (as on 27.1.18) sees them sat in a lower mid-table position of 7th place. This is a fixture that looks like an uphill battle for the young guns but going in as the underdogs have its merits too and they will look to pull off an upset. Date & Venue: 4th February/ Khuman Lampak Stadium, Manipur. NEROCA FC have shown the league that they can perform at their highest level consistently and with just 4 points off the top, NEROCA are firmly believing that they have solid chance at the prestigious title this season. With both the Kolkata clubs misfiring this season, its given rise to teams like NEROCA to come into the fray and truly punch above their weight. 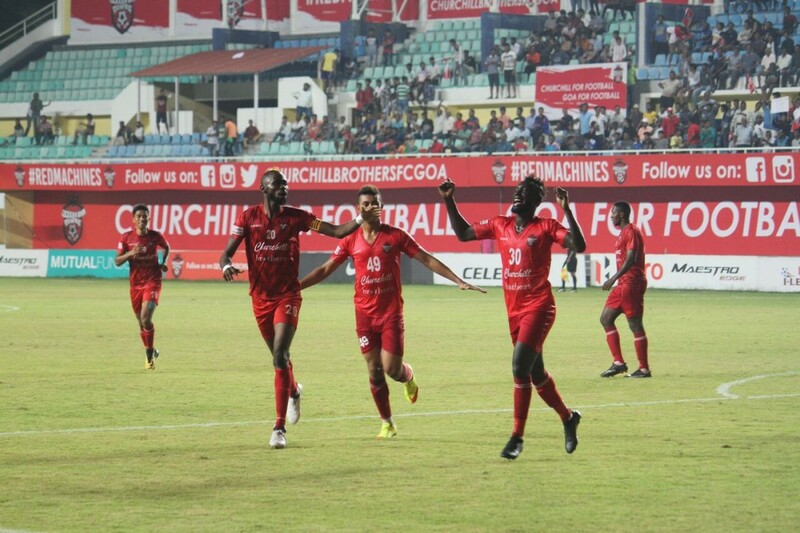 Coming up against bottom club Gokulam Kerala who are struggling to find their feet this season, they finally managed to seal a victory against Chennai City FC after a drought of 5 games without a win. They have managed only 2 victories this season and are struggling in front of goal. Bino George’s men have been scrapping for results this season and their record against NEROCA FC in this league does not do them any good. In the previous fixture, they suffered a 3-0 defeat to the Manipur based outfit. A routine win on paper for NEROCA but anything is possible in the game of football.